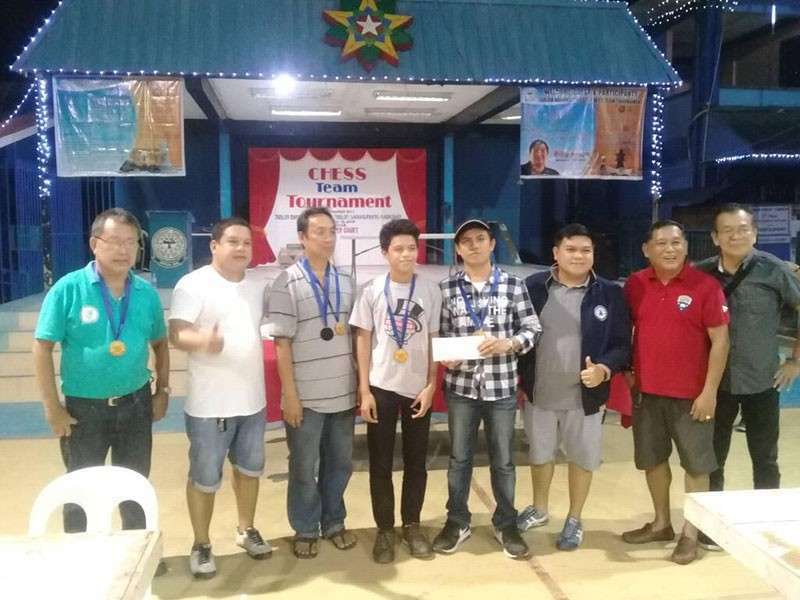 CAGAYAN de Oro's future chess master Ronald Canino faltered in this year's Palaro, but was swiftly vindicated in the cash-rich 2019 Tablon Fiesta Chess Team Tournament here concluded, over the weekend, in Barangay Tablon. The youthful Canino of Misamis Oriental General Comprehensive High School (MOGCHS) played alongside veterans Arbs Calido and Jokorn Maestrado to power Team Kenkei Kenkei in besting a tough field en route to pocketing the P20,000 top purse of the exciting “Tatluhan” team chess tourney. Canino, a former Asean age-group chess champion, failed to represent Northern Mindanao in this year's Palarong Pambansa after a narrow defeat in the regional elimination held late last year in Tangub City. "Sayang wala nakasakay si Ronron (Canino) sa NMRAA team for the 2019 Davao Norte Palaro, pero at least ma-boost balik iyang morale after a championship win in Tablon," said arbiter Lorenzo “Jun” Cuizon. It was not an easy task, however, for the Canino-led Kenkei chessers as they went through the gauntlet in the last two crossover matches. Against the elimination round top-notcher CDO Executives of Jaime Joshua Frias II, Bong Vasquez and Jun Gunayan, Team Kenkei were almost dead when the solid as stolid Frias repeated over Canino in their London Opening encounter on board one and Vasquez in "complete" winning position to supposedly cushion the impact of Gunayan's King's Indian Attack (KIA) defeat at the hands of the rejuvinated `Alamid ng Mindanao' Jokorn Maestrado. But an edgy Vasquez apparently lost a costly tempo by forgetting to push his queening pawn, thus giving Calido a precious chance to counter-attack that paved the way for the sudden change of fortune. "Kon na-push lang ni Bong ang queening pawn sure win kami na unta ang moaway sa championship," later said Frias with heavy feelings. The AB Fighters overcame Dumadag Team C of Aljie Cantonjos, Tesucan and Oliver Damonsong in the other half of the crossover semifinal matches. In their final match with AB Fighters by the troika of Davao City pride Harison Maamo, Gomobar Balabagan and team manager Aldrin Bagooc, Canino and company were again pushed to the wall as two nail-biting draws--ensued! "A round of applause to our top chess combatants for making the Tablon chessfest a classic one fraught with drama and fierce comeback," then commends tournament director Fr. Vic Arellano. In the Armageddon match to put an end to all struggles, Team Kenkei chose 5 minutes with the white pieces to AB Fighters' 6 minutes for the black pieces. That was all they needed to finally beat AB Fighters, 2-1 for the crowning glory. The AB Fighters received P15,000 for the runner-up prize, while the CDO Executives and Team Dumadag C got P10,000 and P5,000 each for third and fourth, respectively.